Cesar Alutrays are delicious, formulated recipes that are available in an assortment of great flavours. Alutrays are made using only the highest quality ingredients and cuts of meat that your dog is guaranteed to love. Smaller breeds of dog will benefit from these unique recipes, as the portions have been designed to suit their size, as well as the nutritional ingredient content to encourage healthy development and internal body function. Feed 3 to 3.5 trays per day per 10 pounds body weight. An individual dog's requirements may differ. This product should only be fed to adult dogs. 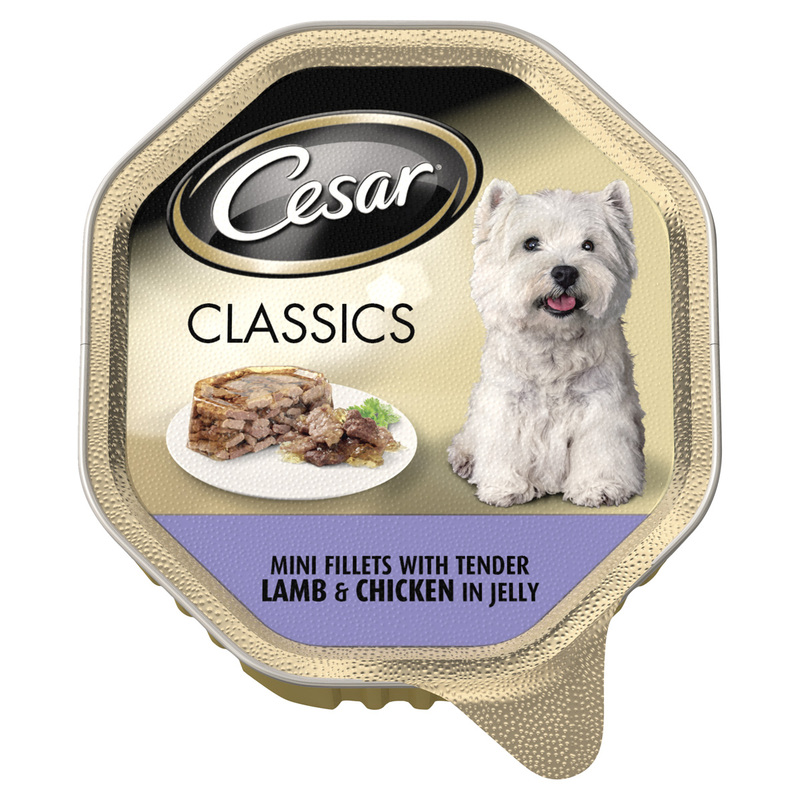 There are currently no questions for Cesar Alutrays Dog Food - be the first to ask one!